One of my favorite holidays – Victory Day – is over. 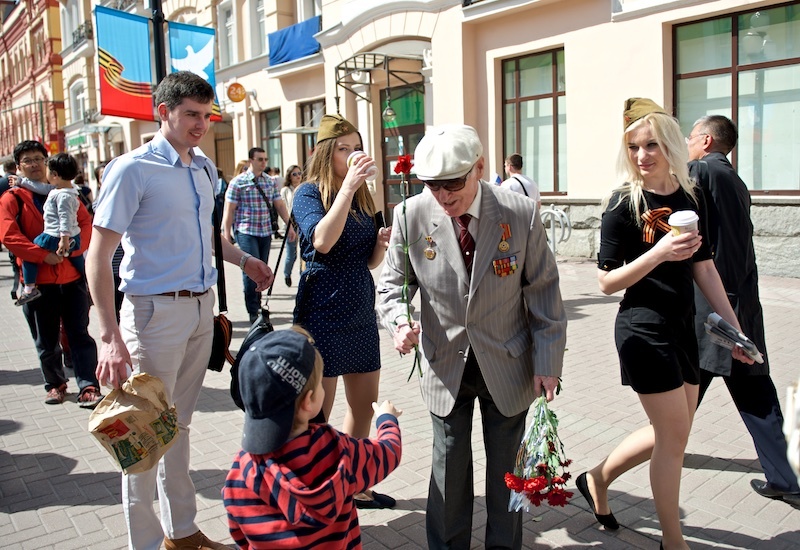 I’ve been visiting Poklonnaya Gora and congratulating veterans on the Great Victory for several years. It’s in 20 minutes from my home, so I liked walking among blossoming chestnuts and first garden trees. But this year I decided to visit Arbat. So this time I’ll show you some photos from a pedestrian street.